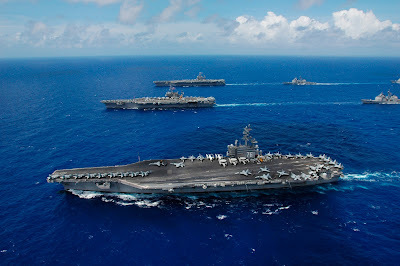 Having served on the aircraft carrier USS Kitty Hawk during the Vietnam War, I’ve seen how carriers project power as well as deliver it – anywhere, anytime, anyplace. "Where are the carriers?" That is the first question American presidents have asked at the start of every world crisis since World War II. Geoffrey Norman at the Weekly Standard offers a piece in praise of aircraft carriers. Pensacola: The staging is perfect. A raised dais with a formation of A-4 Skyhawks suspended overhead, in the signature colors and markings of the Navy's Blue Angels. The venue is the National Naval Aviation Museum, which occupies space adjacent to Sherman Field on the naval air station in Pensacola—the birthplace of naval aviation and home of the Blue Angels. The museum is not a busy, up-tempo military installation, so today's event, its 30th annual symposium, qualifies as an exciting day. Past themes—with speakers ranging from former President George H. W. Bush to Secretaries of the Navy John Lehman and James Webb—have focused on the battles of Midway and Coral Sea, the stories of legendary squadrons like the Black Sheep, and overviews of entire conflicts: the Vietnam war, Operations Desert Storm and Iraqi Freedom. This year, however, the focus is on battles of the future, budget battles, that is. The assorted admirals, ensigns, and civilians have gathered to consider "Power Projection in the 21st Century" and more specifically, "the role of large deck air-capable warships." It is both a timely debate and one that never seems to end. 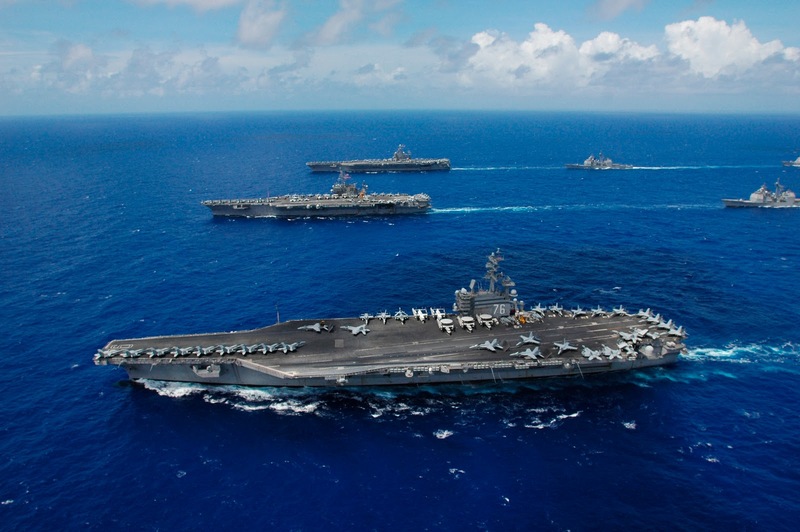 Does the United States really need aircraft carriers? Can it afford them?